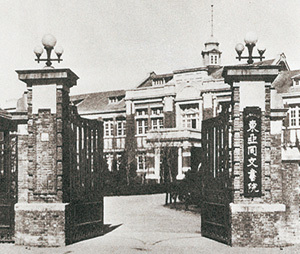 Toa-Dobunshoin (later, Toa-Dobunshoin University), the forerunner of Aichi University, was founded in 1901 in Shanghai and has the distinction of having been the oldest Japanese overseas institution of higher education. Its roots lie in the Toa-Dobun Association, founded by Atsumaro KONOE, who served at the time as the president of the House of Peers. The association sought to use academic and cultural work to further friendly ties between Japan and China, and it was to encourage the development of a pool of talent for this purpose that Toa-Dobunshoin University was founded. Located in Shanghai, Asia's greatest international city at the time, the university nurtured students in a climate of academic freedom, imparting them with an awareness of international affairs that placed particular emphasis on China and Asia. Japan's defeat in World War Ⅱ led to the Chinese seizure of Toa-Dobunshoin University, signaling the conclusion of its half-century of history. It was just as the university was forced to close its doors that Kiichi HONMA, who served as its last president (and later became the secretary general of the Supreme Court), resolved to establish a new university. 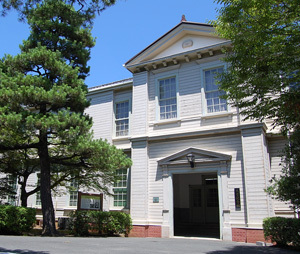 In response to his summons, a large number of Toa-Dobunshoin University's staff and students gathered in May 1946, and on November 15 of the same year Aichi University was founded as the Chubu region's only old-style law and literature university. In April 1949, a Faculty of Letters (Sociology) was added to the Law and Economics Faculty (consisting of a Department of Law and a Department of Economics), transforming the university into a new-style school consisting of two faculties and three departments. The university has continued its development within this same basic organization to the present day. Founded on the ideals of contributing to world culture and peace, training students with an international outlook, and contributing to its local community, Aichi University continues its effort toward the realization of ideals.